Buddhist – every day's a holiday! Apart from beings, no Buddhas. Even though today marks the death of one of the most revered figures in world history, Nirvana Day (or Parinirvana Day) is a celebration. 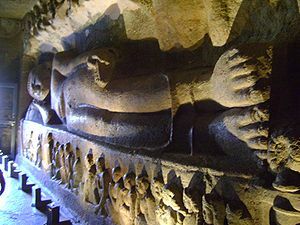 Buddha’s death in the 5th or 6th century BCE is seen as the release of Buddha from his earthly body into a state of pure Nirvana. He spent the next 45 years traveling the countryside teaching the Dharma and practices of what came to be known as Buddhism, a revolutionary religion which had no caste system, nor discrimination based on race or class. 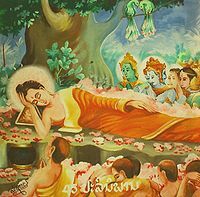 After the meal that Cunda had prepared, the Buddha became ill.
Buddha and his disciple Ananda carried on, until the weary Teacher asked to rest by the side of the road. They took shelter beneath a tree. ‘It is a gain to you, friend Cunda, a blessing that the Tathagata took his last alms meal from you, and then came to his end. For, friend, face to face with the Blessed One I have heard and learned: “There are two offerings of food which are of equal fruition, of equal outcome, exceeding in grandeur the fruition and result of any other offerings of food. Which two? “And what, bhikkhus, are these teachings? 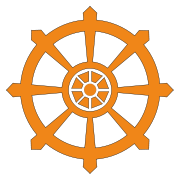 They are the four foundations of mindfulness, the four right efforts, the four constituents of psychic power, the five faculties, the five powers, the seven factors of enlightenment, and the Noble Eightfold Path. Commonly celebrated on February 15 by Mahayana (Northern) Buddhists, it is alternatively celebrated on February 8. Ox: You are a born leader, and you inspire confidence in those around you. You speak little, but are quite eloquent. You are steadfast, solid, hard-working, goal-oriented, mentally and physically alert and generally easy-going, but remarkably stubborn. Be careful about being too demanding. You are also methodical and good with your hands. You will make a good surgeon, general or hairdresser. Actually they don’t have Chinese fortune cookies in China. Fortune cookies are an American thing. Although the Chinese did hide secret messages in Moon Cakes way back in the 14th century, the closest cookie you’ll find to the modern incarnation date from 1800’s Japan. The legend is that fortune cookies were brought to North America by Chinese laborers around the time of the 1849 Gold Rush, but there’s no evidence of this. They were probably were introduced in the U.S. by a Japanese immigrant in San Francisco in the 1910’s. Another claim is that they were made by a Chinese restaurant owner in L.A. So the question isn’t are they Japanese or Chinese, but are they Northern Californian or Southern Californian? Fortune cookies became a staple at Chinese restaurants in the U.S. after World War II. The Chinese Lunar Calendar is one of the oldest calendars in the world, and probably the oldest known horoscope. 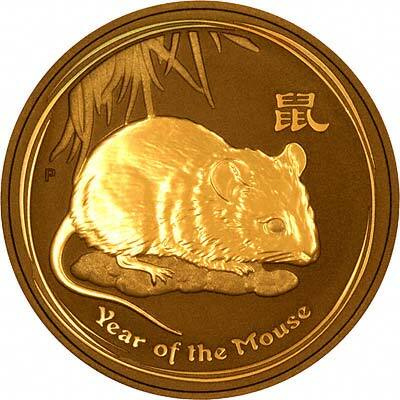 The Rat is the first year of the 12-year cycle. An ancient legend explains the order of the animals. 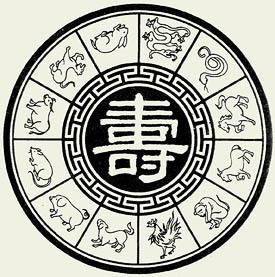 The twelve animals of the zodiac quarreled with each over who would be first, and the gods were asked to decide. A race was held, in which the 12 animals of the zodiac had to cross a river. Ox was the first across the river. Little did he know Rat had hitched a ride on his back, and Rat darted across the finish line when they reached the other side. For this reason Ox is second. Perhaps because of Rat’s savvy, “Years of the Rat” always coincide with a U.S. Presidential election. Since 1900, “Year of the Rat” elections have re-elected the sitting President, with the exceptions of 1912 (Wilson), 1960 (Kennedy), and 2008 (Obama). Today marks the beginning of the year of the Ox. Barack Obama is one of two “Oxes” to be elected President. [Gerald Ford and Chester Arthur were also “Oxes” but took over for resigning and assassinated Presidents.] The other was Warren G. Harding, who died in office, and whom until recently, many historians considered to be the country’s worst President. 15 Presidents (5 each) have been Rats (including George Washington), Snakes (FDR & JFK), and Pigs (Jefferson, Jackson, Reagan). 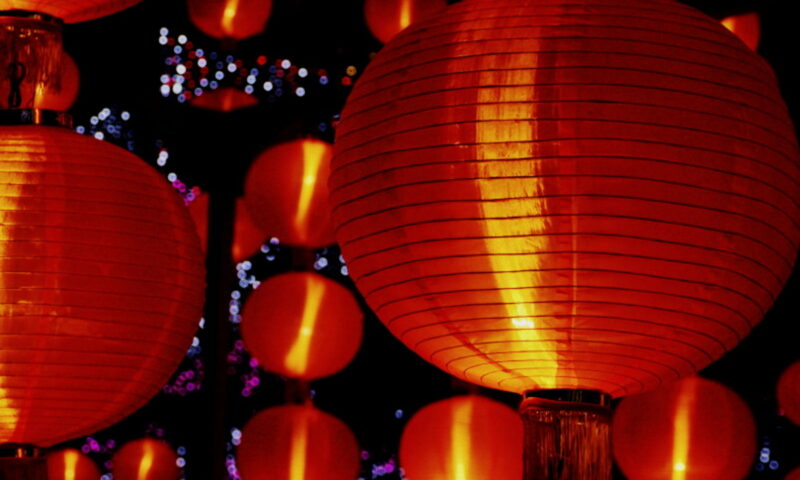 Chinese New Year is one of the most widely celebrated holidays in the world. 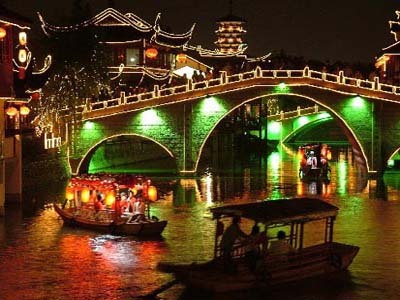 The Chinese Calendar is one of the oldest calendars in the world, dating back thousands of years, though it has undergone many changes in that time. The Chinese calendar is a lunisolar calendar. New Year usually begins on the second new moon following the winter solstice, or the first new moon after lichun. Malaysia, Singapore, Taiwan, Mauritania, Viet Nam (Tet), Indonesia, Mongolia (Tsagaan Sar) Thailand (not an official holiday), Laos, and Brunei. Also cities across Australia, Canada, and the United States have large Chinese New Year celebrations, making it one of the most widely celebrated holidays in the world. Many years ago, according to an Ancient Chinese legend, Buddha decided to choose animals as the signs of 12 year cycle. He summoned all the animals to be present at a meeting next morning and he would secretly select the first 12 animals arriving to be the signs of a year respectively. The rat and cat, who were good friends, agreed to wake each other up. Next morning Rat, who woke up first, broke his promise and left cat sound asleep as he quietly left alone to arrive at the meeting. Another legend is that Rat tricked Ox into carrying across the river on his back, then dashed to the finish before ox had time to get out of the water. Thus Rat is before Ox. Either way, the important thing to remember is that Rat is tricky, full of promises and good words, but in the end just wants to win the race. 2009 was the Year of the Ox. 2010 was the Year of the Tiger [the sexiest of all zodiac symbols –Ed. ], 2011 was the Year of the Rabbit, and 2012 is the Year of the Dragon! The O-higan days have been celebrated in Japan since the 8th century. The name Higan literally means, “the other shore” and is short for Tohigan—to arrive at the other shore. Buddhists believe that the Pāramitā form the bridge that enable humans to cross over to the other shore, to Nirvana. Bodhi means enlightened, wakefulness, absolute consciousness, perhaps even superconsciousness, and refers specifically to the state achieved by Gautama Buddha and his disciples. It’s similar to Nirvana, and indeed, Nirvana and Bodhi used to be used synonymously. But in Mahayana Buddhism, Bodhi is a notch up from Nirvana (No offense to Kurt). Anyone can attain nirvana (okay, maybe not anybody) while only Buddha can attain Bodhi. In fact, “Buddha” means one who has attained Bodhi. Now Sattva can mean many things: purity, harmony, truth, goodness, but it basically means “the essence of being”. The Bodhisattva are those rare beings who can attain complete and pure wakefulness, the most enlightened state. 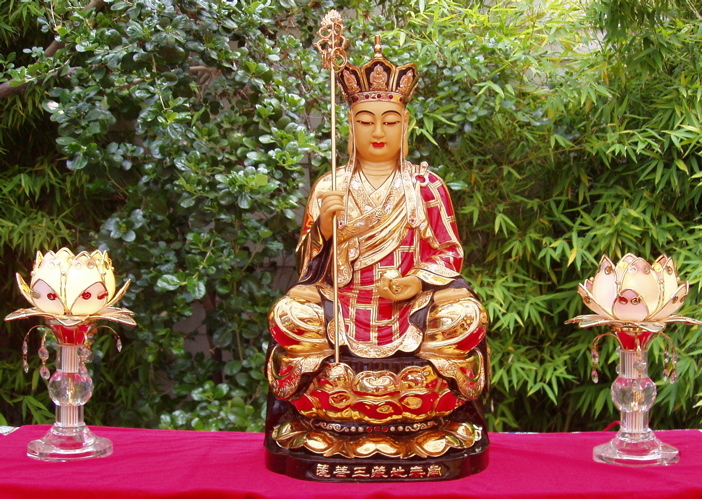 Ksitigarbha was a special Bodhisattva. Ksiti means “womb” or “matrix”. Garbha means “earth”. His name literally translates to “Womb of the Earth,” “Treasury of the Earth” or, “Earth Store”. Put it all together and you have the Buddha of Hell. That’s his nickname, since he aimed to vacate the Hells on earth. He’s also called Dizang in China, Jizo in Japan. This year Ksitigarbha’s birthday falls one day after the remembrance of the beheading of St. John the Baptist in the Christian religion. John the Baptist was believed to have gone to hell after the beheading, where he preached to the inhabitants there that the Messiah had arrived on earth. He was born this day in 1935, the fifth of 16 children, nine of whom survived to adulthood. He has spent five of his seven decades as Tibetan Buddhism’s spiritual leader outside his homeland. China invaded Tibet in 1950. 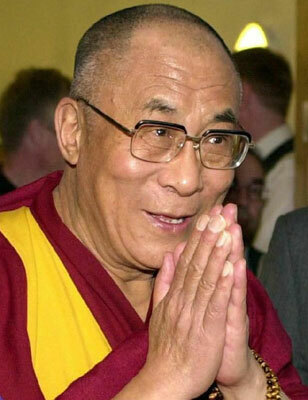 The Dalai Lama escaped from Tibet in 1959 during the March 10 uprising, in which followers gathered outside his palace to prevent the People’s Liberation Army from kidnapping him. The Dalai Lama fled the country to avoid potential violence. Currently, the Dalai Lama’s envoys are in China seeking a diplomatic resolution to the Tibetan conflict.